What do the changes mean for Burnside Hospital? Deliveries can occur at any time from the pathology companies. It is the responsibility of the Recovery Unit nurses to check the inventory with the courier, unpack, manually record the inventory and place it in the blood fridge. Since the changes have been implemented, the number of daily pathology deliveries has decreased from up to five to only one or two per day. Ongoing audits have demonstrated that Burnside Hospital have achieved a 67% reduction in red blood cell units ordered and delivered to the hospital. Fewer red blood cell units are returned to the issuing pathology company since the audit and culture change. Crossmatches are now only attended where there is real likelihood of transfusion, rather than based on historical practice. As a result the amount of crossmatched blood held in the fridge has been significantly reduced. A minimum number of emergency O negative red blood cells are held on site at all times, however the primary pathology company that delivers the emergency stock is responsible for monitoring the levels and expiry dates. With the introduction of the “turnaround form” in all theatres, staff have immediate access to all servicing pathology company contacts and details, including timeframe on delivery and what blood components each company holds. This not only ensures that urgent orders can go straight to the source, but also that surgeons and anaesthetists feel more comfortable with utilising group and save rather than delivered crossmatch blood for procedures with a low likelihood of transfusion. Since implementing new practises, the time spent checking the blood and blood product inventory has been reduced from up to two hours to less than 15 minutes per day. Nurses in the Recovery Unit and on the wards now have more time to provide direct patient care. It has been reported by a private transfusion service provider in South Australia that, on average in their facility, a unit of red cells is crossmatched and issued four times before it is transfused to a patient. The changes that Burnside Hospital were able to make in regards to reducing the amount of unused red blood cells entering the hospital assists the transfusion service providers with better inventory management of their red blood cells, ensuring there is more available for release from the pathology laboratories. The reduced movement may also help reduce wastage rates for the providers as blood is more likely to be utilised before expiry and less likely to be damaged through excess handling. The BloodMove initiative assists the private pathology companies in SA with the process of accepting unused red blood cells back into their inventory with the coordination of evidence that the remote blood fridges in the SA private hospitals meet AS 3864.2 -2012. With wastage rates at some facilities in the Australian private health sector at over 60%, the ability of private laboratories in South Australia to accept unused blood has a great impact in reducing wastage rates. Ongoing audits have demonstrated that Burnside Hospital has achieved a 50% reduction in red blood cell units being returned to the pathology providers with the cross-match to transfusion ratio now at 1.5:1. With reduced crossmatched blood in the blood fridge the Recovery Unit nurses have more time for patient care with less time spent on managing blood deliveries, completing the register, and phoning the wards and pathology companies for returns. The ward nursing staff also spend less time following-up the likelihood of a post-operative transfusion, allowing more time for direct patient care. Finally, although it has never occurred at Burnside Hospital, there is a reduced risk of the incorrect unit being in inadvertently transfused to a patient. 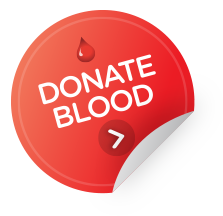 Less crossmatched blood means there are fewer units to select from, particularly in an emergency when reaching for an O negative unit. Burnside Hospital has seen a downward trend in blood ordering and usage. This may be attributed to a number of changes in patient blood management alternatives to transfusion such as the introduction of the Argon Plasma Electro Surgical Coagulator, lower transfusion thresholds, increased use of Intraoperative Cell Salvage and tranexamic acid, and a management approach to a less-is-more usage culture in addition to the new ordering regime.